At Altman & Altman, LLP, our talented team of criminal defense attorneys represents clients throughout the Commonwealth of Massachusetts. 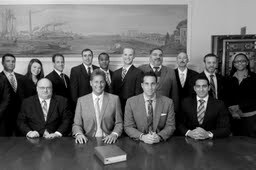 Our experienced attorneys are well versed in all areas of criminal law. We pride ourselves on offering top quality legal advice to our clients during every step of the criminal process. Please click on a link below to learn more about the lawyers who comprise our Criminal Defense Practice Group.